Click here for more answers from Dr. James. 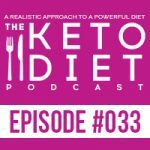 Leanne Vogel: You’re listening to episode #33 of The Keto Diet Podcast. Today we’re chatting about problems caused by food sensitivities, inflammation on keto, and steps to reversing inflammation, so stay tuned. Hey, I’m Leanne from healthfulpursuit.com and this is The Keto Diet Podcast where we’re busting through the restrictive mentality of a traditional ketogenic diet to uncover the life you crave. What’s keto? Keto is a low-carb, high-fat diet where we’re switching from a sugar burning state to becoming fat burning machines. A little thank you for all of the podcast listeners and supporters. I met many of you on the book tour and I’m so thankful for each and every single one of you. If you’re in need of a little boost of keto support, I’ve created a special offer exclusive to podcast listeners only. 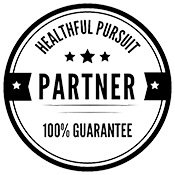 Use the coupon code “love” on healthfulpursuit.com/shop and receive 15% off anything your little heart desires, from weekly keto meal plans with Balanced Keto to my epic pack of resources with The Keto Bundle. Again, that’s “love” for 15% off at healthfulpursuit.com/shop. The offer will be valid until June 11, 2017. Let’s get this party started. Hey, guys. Happy Sunday. I’m recording this episode a couple of months, actually like two months, before it’s going live. I just got back from Expo and the air conditioning just totally crushed my immune system. I’m so sick. We’re just going to try our best. Met with a lot of great companies and it was totally worth it, I just react to dirty air conditioning. That’s just the way my body rolls, which aligns so perfectly with today’s episode. The show notes and full transcript for today’s episode can be found at healthfulpursuit.com/podcast/e33. The transcript is added to the post about three to five days following the initial air date of this episode. Let’s hear from one of our awesome partners. One of the reasons I was comfortable letting certain supplements go is by taking a whole food based ultra Primal super nourishing Organ Complex from paleovalley. Now, these guys just went all out with this. I’ve actually been taking it for quite some time but couldn’t share it with you until it was live to the public. This Organ Complex from paleovalley is a mega nutrient-dense super supplement. The nutrients in just one daily dose read like the best multivitamin out there and it’s a whole food. There are vitamins A, B-12, B-6, B-2 and 3, CoQ10 folic acid, iron, selenium, phosphorus and zinc, copper, omega-3 fatty acids, EPA and DHA phosphorus and the list goes on. The Organ Complex is a combination of beef liver, heart, brain, and kidney all sourced from 100% grass-fed and finished beef organs which are non-GMO and never given antibiotics, steroids, hormones or grains. The capsules are 100% pure with no fillers or flow agents, gluten, grain, soy, or dairy. You can go to paleovalley.com/hp to receive an instant 20% off your order of the new paleovalley organ complex. Again, that’s paleovalley.com/hp to receive your instant 20% off. If you have an idea for a podcast episode or want to submit praise over and above the review, which you can leave by going to healthfulpursuit.com/review, you can reach me at info@ketodietpodcast.com. We have one announcement this week. Manitoba Harvest is back as a sponsor. These guys are just so great. I have loved promoting them over the years and they continue to amaze me with all of their innovation in the hemp space. I really could not live without Manitoba Harvest and I’m so excited to continue to share their products and new things that are coming out for them. Always stay tuned to all the new products they have going on. We talk quite frequently so I usually know what’s happening and what’s coming down the pipes. All really exciting things. Today’s guest’s name is Dr. James Geiselman. He earned his Doctorate of Chiropractic degree from Logan University in 2015 and is currently working on his Master’s of Science degree in Nutrition and Human Performance from Logan University and will graduate in April 2017. In October of 2016, Dr. James published his first book entitled Empower Yourself: Live Better with Optimal Nutrition. Currently Dr. James works to educate, inspire, and empower his clients to achieve their aspirations, becoming active participants in their healthcare via his online practice. You can follow Dr. James on social media for the latest on research and other great tools meant to help you succeed with your health. To learn more about food sensitivity testing or their new TriWell program, you can visit Dr. James’s website at http://www.drjamesdc.com. Dr. James, he is just awesome and really knowledgeable with food sensitivities and he follows a ketogenic diet and recommends that for many of his clients. I wanted to have him on the show to just chat about food sensitivity, testing, and what to look for and how inflammation plays a role, ADD, ADHD, some autoimmune conditions, and how all of that can bundle up and cause some issues for us. He also offered to answer some of your questions beyond what we were able to chat about on the podcast. If you’re wondering, you’re like, “Oh, I want to learn more about food sensitivities and its cross relative component with different autoimmune conditions,” you can head on over to the blog post for this specific episode by going to healthfulpursuit.com/podcast/e33 where he has provided some additional answers for us. Hey, James. How’s it going today? James Geiselman: Great. How are you? Leanne Vogel: I’m doing so good. Thank you so much for coming on the podcast today. For listeners that may not be familiar with your work, why don’t you start off by telling us a little bit about yourself? James Geiselman: All right. Well, thank you. I appreciate coming on, talking to you guys today. My background is my undergraduate degree was in psychology and I had minors in biology and chemistry, and I always knew I was going to do something in the healthcare field. My senior year, I started looking at … I was going to go to be a physician’s assistant. I looked at PA schools and a lot of PA schools at the time, this was seven, eight years ago, required a lot of hands-on learning, a lot of patient contact. I started working as an EMT and then as a paramedic for about two years. I had that medical side of me that understood the use of drugs, emergency saving drugs, but had a real tough time watching patients go to ER for real minor things and then come out with prescriptions, antibiotics. It’s just kind of a thing that all healthcare does. I knew that wasn’t the route I wanted to do so I started looking at chiropractic. I went to the chiropractic program. I earned my Doctorate of Chiropractic in April of ‘15. Immediately moved out to northeast Ohio, started working out there in a private practice, and I was seeing all personal injury patients. These are all patients who have been in auto accidents, who have muscular/skeletal problems. With my background as a paramedic and as a chiropractor, it was great. The longer I was there, the more I saw a need for nutrition and a lot of patients weren’t too active in their care. It was more of a passive thing that they would come in to see me and expect to get better. While chiropractic’s great, you really have to be invested in your healthcare, whether it’s medicine, whether it’s nutrition, whether it’s chiropractic, whatever it may be. That’s when I started working on my Masters of Nutrition and Human Performance. After about a year in Ohio, I came back to Illinois, started writing a book, finished the book last fall. It’s called Empower Yourself: Live Better with Optimal Nutrition. It was a very basic book that I wrote for those who had no true nutrition background. It was a very start to finish like A to Z. Finished the book and then I really wanted to look at what could I offer my patients. I was trying to decide: Do I open a practice? Do I continue with chiropractic? That’s when I really started focusing on functional medicine. There were a couple of courses in the master’s program that I really enjoyed. Gut microbiome was one, really seeing how the gut affects health and how the gut is actually related to everything out there, and then nutrigenomics and nutrigenetics, which for those of you who aren’t familiar with nutrigenomics, nutrigenetics, basically this is the art of personalized care. It’s at the forefront now because testing’s really expensive for that. It’s looking at the genes and trying to create customized medicine, customized nutrition for a particular patient. That really interested me and that’s when I found food sensitivities, which we’re going to talk about. Then the beginning of this year, January 1 is when I officially launched the online practice. It’s a virtual practice. If you’re in central Illinois, I still do some chiropractic, but a lot of what I focus on is just helping the nutritional side, the functional medicine side of things. We do food sensitivity testings and we also have a TriWell program which we’ll talk a little bit more about too. That’s my background. Leanne Vogel: Very awesome. Being that you focused in on food sensitivities, what sort of issues are caused by somebody’s sensitivity to dairy and they just continue eating it, what are some of the issues that can pop up because of that? James Geiselman: There’s actually a lot of … When you look at food sensitivities, there’s several different kinds. Most people think of food allergies when they hear sensitivities. A true food allergy is you eat peanuts and you get itchy and you get hives or you eat shellfish, you get itchy and get hives. The most extreme of that is anaphylaxis, anaphylactic shock where your throat starts to close, breathing problems, and that is not what we’re testing. You go to an allergist for IGE testing. Most people at this point probably know if they are allergic to something like that. They can’t have a bee sting or they can’t eat shellfish or they can’t eat peanuts. What we look at is the IGG portion of the immune system which is more of the chronic. A lot of our patients may have migraine headaches. They may experience GI issues, so IBS type symptoms. They may have weight loss resistance. Again, you’re just doing a diet, you’re doing a ketogenic diet, paleo diet, Mediterranean diet, whatever it may be, but you’re just not getting the results that you’re looking for. You’re keeping that excess weight and that’s because you’re in a chronic state of inflammation. We also see fatigue, fibromyalgia patients, chronic pain patients, ADHD is one of them and that’s a big one. A lot of the kids are just eating so much processed stuff and so there’s an argument in medicine and healthcare: Are we diagnosing more kids with ADHD because we’re better at identifying it or is there something changing? My viewpoint is 30 years ago, there wasn’t a whole lot of ADHD just because kids were kids. Kids were normal. Now what do we do before we send a kid off to school? They eat a bowl of cereal full of milk. I mean, nothing wrong with that. I understand I’m not a parent and I understand you have to feed your child before they go to school, but we’re introducing a lot of sugar and a lot of carbs right before a school day. How do you expect a student to sit through that? I have no idea. A lot of the conditions where there’s headaches, GI upset, the weight loss issues, a lot of that comes back to the inflammation and chronic inflammation. That’s where a lot of this stuff stems. It stems from, like I said, from the gut microbiome class, from the GI system, and inflammation. Those are what we are addressing or trying to address. Leanne Vogel: Yes, as somebody who was diagnosed with ADHD when I was about seven, it was so frustrating for me because I could feel my brain working but there was like this veil over it. When I went ketogenic, it just went away. When I went gluten-free and dairy-free, that helped but I would have my moments. Now I couldn’t even imagine what that would feel like. It was so related to food but I was on medication for over a decade as a child because I just couldn’t think. My go-to snack after school was a grilled cheese sandwich with the cheese and the bread and the butter and all the things that my body just wasn’t accustomed to. You’re right. I’m not a parent either. I’m sure my parents probably knew that we were sensitive to dairy but in the grand scheme of things, it’s like feed your child or don’t feed your child. James Geiselman: I do need to throw in a disclaimer because I think chiropractic as a profession has a certain mentality in the public. I am not anti-medicine, anti that stuff. I mean, I was a paramedic. I know when it has its purposes, but I believe I’m right in the middle of things. I’m not too conservative but I’m not too liberal in the sense of I don’t want people to take medicine for everything. Statins are a big issue that I have. I just want to throw that out. I’m not this chiropractor who is anti-drugs by any means. I know when they have their purpose, but I do believe starting with a conservative form of treatment or therapy first is very essential. James Geiselman: Why would you go in for surgery if you just needed a little conservative care? I’m not criticizing if anybody’s on medication. That’s not it at all. But knowing that there could be a conservative approach, looking at the food sensitivities is a big key just for education purposes. Leanne Vogel: Yeah, looking at all the options. You’re not totally pro-antibiotics or statins. I’m the same way. Sometimes you need medication. I mean, there’s some medications I just need to take, period, but to know that there’s another alternative or that you can heal while you do that, I think that that’s really important. You don’t just have to do the medication. You can look at alternative forms of healing while you’re also on the medications. Does using food to heal the gut lessen inflammation all over the body and what foods would you recommend to eat or avoid when you’re doing that healing? Say you’re on medication and you’re also trying to heal the body, what are some of the foods that you would recommend people consume? James Geiselman: Well, that’s a funny question. James Geiselman: A lot of the time … It’s a good segway. People that watch Dr. Oz, I remember when pineapple was the big thing. Pineapple has bromelain in it and bromelain is known to help with pain. It’s kind of a conservative approach. Guess what. Some people may react to pineapple and may actually create inflammation. There’s really not a certain food that I would recommend in the sense of everybody’s different so I think being tested is key. Recently, I’ve been doing a ketogenic diet since the first part of December. I love dairy. I’m a big cheese guy. I mean, I don’t like milk per se. I know that’s kind of odd. I don’t drink milk but I love dairy, different kinds of cheeses, eggs. I was recently, I tested myself and I was through the roof in the avoid category for dairy. Mozzarella cheese, cottage cheese, whey casing. My body reacts very heavily. When you’re ingesting foods that you … I thought I was doing good on a ketogenic diet. I was meeting my macros, my fats were good, my proteins were good, my carbs were great because they were so low. I thought I was doing everything right but for the past three months I’ve been creating a state of inflammation within the body. The first step is finding out what foods you react to. Once you know what foods you react to, you can create a customized diet plan. That’s the key. Whether or not you’re following keto, whether you’re following paleo, whether you’re following the Mediterranean diet, if you’re ingesting foods that you are reacting to, it can have a real adverse effect. What I like to see is patients that find out what they react to, take those out, and then watch how the body changes. You know, the big eight, the definite ones to avoid and the list kind of goes back and forth but dairy, eggs, gluten, soy, and tree nuts are pretty much on every list of foods that you can react to heavily. Then from there, it kind of goes peanuts, shellfish, even nightshade vegetables. The nightshade vegetables don’t include your sweet potatoes, though. The foods that people think are really healthy for me, I’m going to do this vegetarian diet. Well, on a vegetarian diet, you may react to spinach, green beans, things that you think are “healthy” because we’ve learned it from Dr. Oz or grandma said to always eat a cup of spinach. Your body may react to that and it may have the absolute adverse reaction. By replacing it, you allow the gut to begin to heal. We don’t just food test. We also recommend a new diet, but we also recommend certain supplements. I’m big on probiotics and I’m big on omega-3s. When the body and when the gut is able to start to heal and it starts to get that inflammation down, it has a systemic wide effect. Like I said, headaches, a patient comes in with headaches. Well, it could be the green beans you had two nights ago. Remember, the IGG reaction is a chronic inflammation and that can have 24, 48, even a 72 hour delayed response. That’s why not only can you food test, you can do something called an elimination diet. I know some of your listeners have probably heard of a elimination diet before. The problem I find with an elimination diet is it takes a lot of dedication, a lot of will power, and a lot of time. It’s definitely the cheaper route. I will say that. If you wanted to try an elimination diet, I would say do it at least for three to six months. Different people have different philosophies on it. If I were going to recommend an elimination diet to someone, I would say cut out the big eight. Again, we’ve severely decreased your diet there. We’ve taken out the dairy, egg, gluten, soy, tree nuts, and we’ve taken out a bunch of stuff. Then gradually as the body is able to kind of reset itself, you can start implementing one food at a time. You can see if you react to that food. If you feel a change … The big key is listen to your body. If you feel a change, that’s the food that you’re sensitive to, intolerant to. Take it out. On the flip side, the more expensive option, but the quicker option, is to do a simple blood test. You find out what you’re reacting to and in two weeks, you can start to heal yourself instead of six months. More on my interview with Dr. James Geiselman after this message from one of our podcast partners. I love being Canadian, the home of the true north, strong and free, but gosh, I’m pretty jealous of you all in the US because you get access to Thrive Market while I’m stuck with limited access to the abundance of health foods that you all know and love. We have 14-day shipping and everything’s really expensive and forget about free shipping. That’s always out of the question. For all of my pals south of the border, my friends at Thrive Market are offering you 35% off your first box of groceries plus free shipping and a 30-day trial so you can reorder your favorites of couple weeks down the road. Imagine spending only $9.95 as opposed to the $20.99 on raw cacao powder or $15.65 as opposed to $24.99 on MCT oil if you go to retail store. On top of their everyday wholesale prices, the extra 35% off your first box of organic and non-GMO products plus free shipping is going to make a regular $100 grocery run into about a $50, maybe $75 Thrive Market order for the same number of things. You can go to thrivemarket.com/hp to get your instant 35% off. This offer will expire in a couple of weeks. If you’re on the fence about it, the time is now. Again, that’s thrivemarket.com/hp to get your instant 35% off and this offer is available to new Thrive Market customers only and people in the US. Wah wah. Leanne Vogel: What are the signs that you are inflamed or sensitive to a food? Is there something that people can watch for? I know for myself – it’s quite random – but I know my body pretty well so I can tell very quickly what food doesn’t work well for me. For people that maybe aren’t as in tune with their body, or they’re just learning how to do this, are there signs of inflammation or food sensitivity happenings? James Geiselman: Yeah, again, it goes back to everybody’s different and I will say listen to your body. A lot of patients who come for food sensitivity testing kind of see this as a last resort. They’ve gone to their doctor. They know something’s not right. Let’s say migraines, for instance. They have migraines that are kind of intermittent, but they have quite a few of them every month. They go to the doctor and they do all this testing. They’ve ordered $5000, $6000 worth of tests. The doctor comes back and says, “You’re fine. Everything was negative.” Now, that’s great to know from a serious standpoint, but from a practical standpoint, you as the patient still know that you’re having migraines and you’re not fine. Listening to your body is key. That’s why people come for the food sensitivity testing. Let’s just say it’s dairy. Let’s say that tonight I eat a steak … If I was on the keto diet, I would have a steak but I would top it with like a mozzarella cheese or something. Let’s just say that. Well, two days from now, I may have a headache and I don’t know why. As a chiropractor, I’m going to think I just need an adjustment. You can watch your body. Without really doing a food elimination diet though, without putting it back in, it’s really hard to tell just simply because of the delayed responses. It is 24, 72 hours ahead of when you ate it. It’s hard to really pinpoint, but I would say different types of inflammatory responses. Look for the headache. Look for the GI upset. A lot of people think GI upset right after they eat but with dairy, a lot of people have bloating after dairy. Well, bloating isn’t a normal thing to have after dairy. It’s not like you eat dairy and expect bloating. You see what I mean? You really have to be keen to your body. You really have to pay attention to what your body’s telling you. I wouldn’t say there’s one particular condition that all patients have. If I was going to say an allergic reaction, I would say look for hives, itching, and things like that but that’s going to be immediate. I just ate the peanuts and now I have hives all over myself. That would be pretty obvious to see as a clinician, as a paramedic, as a medical doctor in the ER. With the food sensitivities, you’re going to come in with GI upset, weight loss resistance, you’re going to have the migraines, like I said, and you’re just not going to put two and two together. To you, it’s just going to be a migraine. I get migraines so I get migraines. In reality, you shouldn’t get migraines like that. James Geiselman: See, you’re very keen to what’s going on. If you’re eating dairy breakfast, lunch, and dinner and you have been for the last six months, you’re probably not going to be able find out dairy was your reactor until you take it out. Now, in your case, now that you know what you’re looking for, if you’ve had that oil or you’ve had ghee or whatever, you react to it. I guess what I’m saying is if you eat it all the time, you’re probably not going to notice what symptoms are related to what. Say you’ve taken a vacation to Hawaii and you’ve eaten something. Your diet’s completely changed for a week and when you come back to the States or wherever and you start your daily normal routine again, that’s usually when people start picking up on things like, “Oh, I felt really good down in Hawaii and I thought it was just the sun but now I’m realizing maybe it’s what I’m eating.” That’s what I would say in terms of what kind of symptoms you can look for. Yes, skin symptoms, the puffy eyes, it’s just everybody’s different so you really wouldn’t be able to connect the two unless you already know what you kind of react to. Leanne Vogel: Can’t even do that. I chat with a lot of my girlfriends because we’re all kind the same in that we’re curious about our bodies and taking care of ourselves and some people would think, “Out of sight. Out of mind. I would rather not know. I would rather just be desensitized. It’s kind of a curse to know your body so well.” To kind of circle back to the first question I asked you, let’s say somebody knows that they’re allergic to dairy, they get these food sensitivities, they know that these things are happening, what if they say, “You know what? Life’s too short. I’m just going to eat all these foods and kind of ignore the problem.” What sort of things can happen? We chat about ADHD, ADD, could Hashimoto’s or any sort of thing like that happen? What can happen? James Geiselman: Oh, yeah. Thyroid problems, especially Hashimoto’s, I mean, I’m not going to say that it’s going to be the inflammation that leads to that necessarily or that just by eating your dairy will lead to that, but they do have an inflammatory component because it is an autoimmune condition. Nearly 50 million Americans have autoimmune conditions whether it’s lupus, MS, RA, most rheumatoid arthritis, celiac disease, what have you. It’s that chronic inflammation state. I would say like mine, I love dairy. I was on keto and I’m still on keto but I reacted to dairy. Now, I could have very easily said, “You know what? I’m going to keep doing it. No big deal,” but I can’t expect to see results if I’m not willing to change. Yeah, I’ve been losing weight with keto. I think the first month was 19 pounds. Since then, it’s been only about another eight or nine. It makes sense because I’m staying in a chronic state of inflammation. Now that I’ve changed, I’m expecting to see an accelerated weight loss. I only like to weigh once a month because I’m not really worried about what the scale says. I think that should be key for a lot of people. Don’t worry about the scale. When I talk to patients about the TriWell program, which foundation one is the food sensitivity testing. Again, that comes back to everything. We want to know what you’re going to eat and then we do foundation two which is a ketogenic approach and foundation three is intermittent fasting. When patients do that, which is an accelerated weight loss program, it’s a combination of eating the right food, finally, decreasing the inflammation, doing a ketogenic approach, and the weight just seems to come off. That’s what I’m expecting now. Now, if I go back to dairy, I mean, I’m still probably going to lose some weight. I can’t say that I ever had headaches. I mean, I suffer from headaches but I always attribute those to neck problems. I need an adjustment or something like that, but I wouldn’t expect changes. If you have an autoimmune condition and you get tested and you’re reacting green beans, garlic, spinach, and dairy, but those are your four favorite foods and you just say, “I will not change. You can’t make me,” and you’re right, I can’t make you, but I’m not going to expect any changes. I expect you’re still going to take the medications. You’re still going to have weight loss resistance. You’re still going to create that state of inflammation. I want to be clear too – by no means am I saying if you cut out the inflammation is Hashimoto’s going to go away or is cancer going to go away or is heart disease going to go away, but they’re all linked. Diabetes is linked to the gut, to the GI microbiome, which is linked to obesity. A lot of the stuff is linked to obesity. If you can lose some weight, even a 5% to 10% reduction in weight can have a tremendous impact on your health. That’s what I would tell you. If you don’t want to change, I’m not going to make you. I can’t force you, but don’t expect accelerated results, whether you’re on keto, whether you’re on paleo, Mediterranean, what have you. If you’re eating the wrong foods and you’re creating that inflammation, you just kind of need to adapt and feel fine where you are. Unfortunately, that’s what most people have done. This isn’t new. It’s not like all of a sudden I just developed this sensitivity. Most people currently sitting there listening to this podcast say, “I feel fine.” Well, the problem is you don’t know how good you could feel so, yes, this is fine. But when you take out some of those things, you will feel so much better. That’s what I find a lot. People say, “I feel fine. I don’t have any GI upset. I’m not running to the bathroom all the time. I’m totally okay,” but when they remove gluten from their diet, look out. It’s like a brand new person and they’ve just forgotten how they feel. We start on gluten as soon as we eat solid food as a baby. It’s just a constant bombardment from the environment that has us conditioned to feel fine even though our body is internally reacting to something. Leanne Vogel: Yes, homeostasis is a powerful thing. That’s really what you’re talking about is the body will work very, very hard to keep you feeling as good as you can in the moment. You’re right. You don’t know how good you can feel. I removed nuts a little while ago just because I’m allergic to peanuts, like deathly allergic, like 30 seconds until I die allergic. James Geiselman: You were able to put two and two together but a lot of people don’t. I mean, they think, “I have seasonal allergies. No big deal. This is just that time of the year.” Seasonal allergies aren’t year round. If you’re still sniffling, still have a runny nose, still have a stuffy nose, you’re reacting to something either in the environment, either in your house, your home, your work, but you’re constantly putting something into your, what I call bubble, so you. You’re putting something around you that you don’t like and you, the homeostasis is reacting to that and it will do everything it can for as long as it can to keep you in a state of “health”. Just like all these conditions, it’s not like all of a sudden you have heart disease, you’ve been working on heart disease for 30 years, or all of a sudden you have diabetes, you’ve been overweight for 40 years. At some point, the body just hits that breaking point to where it can no longer compensate and you have a condition. The great thing with a lot of these conditions is you can reverse it. It’s kind of unheard of. You can reverse diabetes with diet, exercise, and eating the right things. It can happen. It’s not just manageable. There’s actually some new research about the ketogenic diet having an effect on cancers. We all know it has to do with epilepsy and how therapeutic it can be, but the ketogenic diet itself, there’s more and more research coming out to show therapeutic benefits for certain conditions. Cancer is one of them. There’s several studies, I think out of Dr. Dominic D’Agostino’s lab, if I remember correctly, one study is that you can actually starve the cancer. I forget what type of cancer. I’m not saying all cancers are that way. I remember reading a statistic that said only 5% to 10% of cancers are hereditary. Everything else is environmental whether it’s what we’re breathing in, eating, consuming. Just knowing what is out there, trying to eat and prepare yourself the best way possible is key. Do you need organic? I mean, there’s a lot of evidence that shows pesticides are bad for you and a lot of studies indicate that. Certain things, you need organic. Some things you don’t. It’s just we’re so bombarded with what’s cheap in the world today. This is quick, fast food, easy, but it’s so processed. The standard American diet is so processed. It’s just spiking inflammation left and right and people just don’t understand how everything’s connected. That’s why I really like to show the different studies on whether it’s the Instagram account, trying to educate about food sensitivities or just educate about what else is out there. This recent study said this and one the biggest studies, this is just a side tangent, that I was really captivated by, and I’m sure you’ve heard it, I’m sure your listeners have heard it, that saturated fat leads to heart disease. Have you heard that? James Geiselman: That’s why everybody is so afraid of the ketogenic diet because, “If I eat all this fat, I’m going to just clog my arteries and I’m going to die.” There is a good meta-analysis. In the world of research, this is a big review of what’s out there. A meta-analysis from 2010 that indicated there is no correlation. They found no evidence that suggests that saturated fat is going to cause the heart disease like everybody’s thinking. I don’t know when, back in the 50s, 60s, fat was so demonized and very quickly sugar and carbs became like the “it” product and it’s just stayed. To me, that … You know, carbohydrate’s probably one of the most unnecessary, in my personal opinion, one of the most unnecessary nutrients. I’ve even heard other researchers talk about that. It’s just not a key nutrient because your body is able to react and has these other mechanisms in place to completely sustain life. That was a side tangent but I really thought the meta-analysis, the research there, I just think more people need to know that. Fat shouldn’t be demonized. If you hear saturated fat’s going to give you heart disease, here’s a really great study that says there’s no correlation. Leanne Vogel: Yes, gluconeogenesis, what you’re referring to, that the body is able to create its own sugar from either fats or proteins, is a pretty interesting thing that we have in our bodies and that’s really so that we’re able to last long time and not have to consume carbs when they’re not as plentiful as we would like. It’s quite an interesting thing. I know that my body has a little bit of an issue doing gluconeogenesis because of adrenal dysfunction and thyroid stuff so it really depends on your body. It’s a really cool function. Really, with keto, what I love about keto is there’s almost a reduction in food and to speak to your piece about we’re always focusing on the food costs and how much it costs and all that stuff. When we went keto, we’ve cut our grocery bills in half. We’re just not eating as much. It allows us to purchase better food because we’re not spending the copious amounts of money on all this stuff we don’t actually need. Actually, when I was at Expo West, I had strawberries that weren’t organic and my throat gets this like phlegmy thing happening when I get nonorganic food. It’s crazy. I used to eat all nonorganic and I would just eat whatever. Now, I’m totally displaying a reaction to the pesticides. Who even knew? James Geiselman: I know, right? Leanne Vogel: Yeah, it just blows my mind how sensitive my body’s gotten. That’s, to me, a blessing. I know I can make a choice. Do I want those strawberries? Yeah, I totally do. I’m going to have to deal with the phlegm in my mouth. That’s totally fine. I can just make a conscious choice. The podcast is sponsored by Manitoba Harvest, the hemp based food company. I love using their hemp hearts as an oat replacement in any oat-based recipe from porridge to oatmeal, cookies, and everything in between. Hemp hearts are hemp seeds with the shells removed. They’re tender, fatty, zero grams of net carbs, rich in omegas, fiber, and protein. Listeners of the podcast can get 15% off your Canadian or US based Manitoba Harvest order by going to healthfulpursuit.com/hemp and using the coupon code “KETO”. That’s “KETO”, all in caps, no spaces for 15% off. This offer is valid until August 31, 2017. I know you’re going to love them. Leanne Vogel: You chatted a little bit about reversal of inflammation, and we chatted a little bit about the ketogenic diet and removing food sensitivities. Are there other things that people can do to reduce their overall inflammation? Say they’ve been eating dairy for 30 years and just found out that they’re super sensitive to dairy. They’re going to cut out the dairy. They’re probably already on a ketogenic diet if they’re listening to the podcast. Are there other things like probiotics or omega fish oils or something that people can do in addition to those two steps? James Geiselman: Oh, yeah. Like I said, everything comes back to the diet, the gut, what we eat. I really think we could have a whole ‘nother podcast talking about the gut microbiome. It is absolutely related to … This is what I found so fascinating from class. It is actually related to everything possible. Essentially everything comes back to the gut. It has been shown in fibromyalgia. Of course you think of different gut… like Crohn’s disease, colic, stuff like that of course come from the gut. We’re talking like major depressive disorders, Alzheimer’s, dementia, anxiety, depression, different neurological things, different types of cancer, colon/rectal cancer, gastric cancer, prostate cancer. Anyway, all that stuff comes back to the gut. First and foremost, making sure that you have a healthy gut, which is twofold, you have to remove the foods that are causing the gut inflammation and in turn the systemic inflammation. If you wake up and lots of people think they’re going to get arthritis when they’re old, that’s true. Everybody’s going to have disc degeneration and degenerative joints. It’s pretty much one of the guarantees in life if you live long enough. I think the stat is like by the time you’re 80 years old, 96% of the population has some sort of degeneration going on. By the time that we’re born, we start to degenerate. A lot of that stuff comes back to inflammation though. You may have arthritis in your knees or in your hips or in your back, but if you take out that inflammation, you’ll be amazed at how well you feel. You still have arthritis. Nothing has magically made the joints come back to life, but it’s just not as severe. Making sure that the diet is healthy for the inflammation is key. I think we spent a lot of the podcast talking about that. Every time somebody comes for an online consultation or whatever, there are two supplements, and I recommend other supplements. Again, everybody is different and not everybody is the same. Not everybody gets a cookie cutter approach to supplements, but two supplements that I can guarantee you that everybody will be recommended is a omega-3 just because of the anti-inflammatory effect that that has. I mean, every cell in the body, the cell membranes are packed with fat. That’s what gives them the membrane. Every cell in the body will use omega-3s. It’s so important. We’re not eating enough fish as a society. You need those. Two is a probiotic. I mean, literally everybody that comes … If any of your listeners want a consultation, we’ll talk about that at the end, but those are two supplements that I would recommend. Probiotics and omega-3s because getting the GI system working properly is the first step to going forward. Of course some patients may need prebiotics, like a different greens mixture, or digestive enzymes. The gut issue is a real big issue. That’s what I’ll recommend a lot of the time, prebiotics, probiotics, digestive enzymes to really make sure the gut is really working properly. You know, if it’s heart, you can recommend omega, of course the probiotics. A lot of people are taking statins in the world and need a CoQ10 because the CoQ10 levels actually decrease with statin usage. Depending on what your problem is and what your goal is, that’s the big thing too. What’s your goal? What’s your ultimate outcome? It’s just not a weight loss thing or it’s not just, “I want to get rid of Hashimoto’s.” The goal should be overall health. This is my opinion, of course. The goal should be what is your end result. I want to lead a better life with less medications or be more active for my children. You insert what is important to you and then that’s where I’ll say it’s our job because your website has a lot of great resources for people. That’s where it’s our job to give you the tools, the resources to do that. Ultimately, I can’t tell you what you need to care about in life. I don’t have kids but I would like kids in the future so I want to do the steps now necessary to have a healthier life. Maybe you do have kids now and you’re just so run-down all the time after work because everybody’s work, work, work nowadays and the stress. That’s another thing we never talked about, just the stress on people and their daily lives can impact the GI health because you’re obviously eating bad stuff. Just the stress of life can affect the adrenals, can affect the GI system, and so we have the resources to help you implement what your ultimate goals are. That’s the big picture for me. Every time I help somebody, I love educating people, but I really love educating people who want to change and who want that information. There’s a difference between lecturing to a group of first year students who are there because they have to be there versus a group of fourth year students who are so specialized, they know exactly what they’re doing, and they’re there to soak up as much information as possible. I think that’s where your listeners are. Your listeners are in that group. That’s why they listen to the podcast every week. They want all this information. Then ultimately they’re going to go out and share it with others. I sent you my food test results and you’re welcome to put that on your website, under the show notes if you want, just to have something people can print off and go show their friend like, “Hey, Becky. I was listening to the podcast this week and this guy was reacting to kidney beans and green beans, two healthy things that most people think are good for you, and he reacted to them.” When you get your food test back, you can show your friends like, “Hey, look. I’m reacting to chicken and spinach and apples.” That’s like the trifecta. Everybody knows that chicken, spinach, and apples are healthy but your body reacts that way. Educating the group, the podcast, they’ll go out and they’ll educate others. Because these people, this is what they love. They want to be better people, they want to help others, and that’s the ultimate goal. Leanne Vogel: Yeah, that’s why I do what I do every day, so that it can just be this ripple effect and just help more people. You’re right. When I was meeting one-on-one with clients, some people wanted to be there, some people didn’t. It was just one person. That’s why I transitioned to having the podcast, YouTube channel, because if the YouTube video does really well, I’m reaching 100,000 people. I can’t even reach 100,000 people in my lifetime if I just do one-on-ones. That’s just not even a thing. James Geiselman: That’s the neatest thing about technology. To think that all of those people, okay, let’s say 98%, so 98,000 of the 100,000 people wanted to watch your video and wanted that knowledge. I mean, it’s not like they just absolutely left the previous video up and your video starts playing. They sought out that information. That’s the great thing. It’s not only a quantity effect, it’s a quality effect. That’s why I have the website. That’s why I have social media. I’m always trying to put stuff on there that I would think would be beneficial for folks, but I always want to know what people want. What do you want to know? If you have a question about something, like, “Hey, Dr. James, what is the correlation between this condition and ketogenic diet? Is it beneficial?” I’ll go online and I’ll do research. I’m constantly doing research because I’m constantly trying to learn. I think that’s another great thing. You want to find somebody such as yourself, such as myself, somebody who doesn’t think that they know everything, because if you become complacent and you stop learning, that’s a real issue. Obviously healthcare providers always have continuing education that they have to do for their licensure, but you should always want to continue to learn, always want to get better, grow in life, do things to help others, and so that’s exactly it. If you have questions, email me or shoot me a message on Instagram or what have you. If it’s like a ketogenic, “What’s the relationship between this condition and ketogenic?” I’ll find the answer for you, but then I’ll probably create some sort of post and share it with everybody else because that’s the great thing. Not only can you learn one-on-one, but we can share it somehow. We can put it on the website. That’s what I’m always hoping that people would just find the Instagram page and be like, “Hey, Dr. James, what’s this?” Or, “I have a question about keto intermittent fasting.” I’m great about responding to people, whether it’s Facebook, Instagram, because I think it’s just another element of educating. Leanne Vogel: Exactly, with food sensitivities, I know that I’ve gotten quite a few sensitivity tests and I have concerns with false positives or false negatives. Can we chat a little bit about that and how they play into the work that you do? James Geiselman: Yeah, I’ve talked to the lab. There’s different types of tests out there. The particular test that we use, or the lab that we use, uses the ELISA method, which I may have taken chemistry but I’m definitely not a chemistry professor. In a short podcast, I couldn’t explain it to you to effectively do it justice, but I can send you the think to the website or to the lab and you can see what they use. If you just Google ELISA method, there’s another test on the market called the MRT method, the mediated response. That particular test looks at a variety, I think 100-and-some-odd different things, everything from food coloring and food dyes to the same foods that we’re looking at. Our test looks at 95 of the most commonly eaten foods. The reason we don’t test for red dye number whatever or blue dye, you shouldn’t be eating it anyway kind of my mentality. We want to get away from the processed stuff, away from the dyed foods, and back to the whole foods. That’s what we’re testing. We’re testing the whole foods essentially. All the fruits you can think of, the citrus fruits, all the vegetables you can think of that are really common, the dairies, the glutens, the meats. We test the lamb, the pork, the chicken. That’s what we’re looking at. What we find is that the lab that we use tries to … We test 95 things. They have 96 test containers basically for each test. The 96th container is kind of the foolproof … And nothing’s foolproof in life. Basically it helps to look for any irregularities. Basically whatever is in that batch, they’ll subtract it from the rest. They try to really make sure that what they’re presenting you as much fact as possible. No matter what test, you’re going to have false positives, you’re going to have false negatives. Let’s say that this time I reacted to dairy, eggs, and I take those out. Now, six months from now, that’s another thing about food testing. This is just like an x-ray or just like an MRI. An x-ray is just a snapshot in time. It’s just that 1/1000th second image of your body. Things change. A week from now you could be in a car wreck, heaven forbid, and now all of a sudden you have muscle problems and your neck is “out of alignment” or you’ve lost a cervical curve in your neck. Those x-rays could be different than your x-rays today. Same thing with food sensitivity testing. Let’s say the dairy and the eggs, I take it out today. Six months from now, maybe I’m reacting to, again, the spinach, the apples, the oranges. It’s constantly changing. This is just a snapshot in time. Just like with any test, nothing is 100% foolproof, but the fact that we can address the main triggers at this time is going to be key to getting you better long term. I don’t know if that really answered your question to the full extent, but that’s how our lab, US food labs, does it. We send them the sample card, they break it up into 96 different containers on the plate. They test all 96 containers and that 96th one is a control. That control, if there’s a reaction to it, they can see that there was a reaction to everything. That’s how they account for it. It’s uncommon to have that, but it’s still there. I don’t think any test on the market is 100%. If it is, please let me know if you find one. Leanne Vogel: Yeah, I want that. James Geiselman: I still haven’t found it. I do feel like for what’s out there now, this is one of the best we have. Sometimes I hear on podcasts IGG testing isn’t good. It’s not as good as IGE testing. You have to understand we’re testing two completely different things. IGE testing can be done with a blood sample or with a skin test. If anybody’s ever gone to an allergist and they’ve had allergy testing done, it’s a bunch of little needle pokes and you look for a skin reaction. That’s completely different. This is a test that I send you in the mail and it’s just like a diabetic testing their blood sugar. You prick your finger, you put the samples on there, and you send it back to the lab. When you’re comparing apples and oranges, I think there’s always going to be an issue there. I will say for looking at IGG, this is a great method. Yeah. Leanne Vogel: Very awesome. Where can people find you? I understand that you’ve put together a little offer for our listeners. James Geiselman: I have. I’m on Instagram @drjamesdc and I think you’ll have that on your website under the notes. I’m also on Facebook. I have a Facebook page. Come, like me on both. Instagram is kind of my go-to hub where I’m always posting, always trying to answer questions, if you have any. Then from there I can share simultaneously on Facebook. I’m also online at www.drjamesdc.com. That’s where you can come learn more about food sensitivity testing. You can learn about our TriWell program, which we didn’t really talk about, but that’s basically TriWell, it has three foundations, the food testing, the ketogenic diet, and the intermittent fasting. That’s kind of like a doctor supervised weight loss. That can be done anywhere. You don’t have to be in Illinois. None of this has to be done in Illinois. I can send you the test. We can do the consultations online. What I will say in terms of the package … What I’ve come up with and if any of your listeners have looked at food testing before, they’ve probably seen some outrageous numbers. I’ve seen some doctors charge $600, $700, $800 for this. I think that’s way too much for the testing in terms of I would rather make, and I heard this on another podcast, I would rather make $1 from a million people than $1 million from one person. To break that down is I really want to help as many people as I possibly can. There’s obviously a lab test and there’s only so low you can go. $700, $800 for a test, I mean, I’m not looking to buy a vacation home in Florida. You get the free consultation and then what we’re going to do is we’re going to knock $50 off of the purchase price. There is absolutely no expiration to this. Four years from now when I’m still doing food sensitivity testing, if you listen to this podcast and you think, “I want to do this,” the offer still stands. Based on that food list, what we’re going to do is in two to three weeks, it usually takes 10 to 12 days to get the results back, and so what we’re going to do in two to three weeks, we’re going to set up a follow-up appointment where I’m going to send you your results but we’re also going to give you a customized food list. In that initial consultation, I’m going to find out are you on a ketogenic diet. If you’re on a ketogenic diet, obviously with the customized food list, we’re not going to recommend a lot of the fruit. You can still have a few berries and things but we’re not going to recommend the fruit necessarily. It’s going to be very customized to you. You’ll have a list that you can take to the grocery store and you can know exactly what you should buy based on your own lab results. These are not my blood results. These aren’t Leanne’s blood results. These are your personal blood results. That’s the package. Just type in “The Keto Diet Podcast,” get the free consultation. We’ll do $50 off. We’re going to give you the customized food list specifically based on not only your blood work but what type of diet you’re trying to follow if you’re trying to follow any diet. Leanne Vogel: That is awesome. I’m so excited for this. Totally. Thank you so much for putting that together for everyone. That’s awesome. Leanne Vogel: Well, yeah. We’ve hit the end of our show. Oh my gosh. I could ask you so many more questions and I could talk with you for like 40,000 more hours. I didn’t even get to all the things I wanted to ask you. We just got to the tip of the iceberg. I really appreciate you coming on the show. We’ll definitely have to have you back again. James Geiselman: I appreciate it. Thanks for having me. Leanne Vogel: The show notes and full transcript for today’s episode can be found at healthfulpursuit.com/podcast/e33. We will see you guys next week. • Talk about how to lower the TPO antibodies with food in a person with Hashimoto’s. One way to address Hashimoto’s is by addressing the diet. Nearly 50 million Americans suffer from autoimmune conditions. A big component of this is inflammation. In my practice, I begin with food sensitivity testing. We want to determine, through blood work, what food or foods your body reacts to and in turn triggering inflammation. For those who don’t want to do this testing, we can try an elimination diet, but as discussed in the podcast, this takes a lot of time and determination. Other individuals may choose to do a diet called “The Autoimmune Protocol”. Whatever diet you choose, the goal is to reduce inflammation within the body. • Is the treatment for inflammation and Hashimoto’s different for men and women? While everyone is different, the goal is still the same. The great thing about food sensitivity testing is we are looking to see what your body reacts to. We don’t give a “one size fits all” diet to everyone. Each person receives a unique master food list once we receive your blood work back. While there may be overlap between men and women, the blood test is truly “customized healthcare”. • What are the most important foods to eat and to avoid when trying to heal Hashimoto’s? There are two answers to this. My first answer would be to have the food sensitivity testing performed. By doing this, you can create a customized meal plan designed specially based on your blood result. The other option is to go on an elimination diet or “Autoimmune Protocol”. The Autoimmune Protocol requires you to remove all food groups known to cause inflammation including: Grains, Eggs, Dairy, Nuts, Alcohol, Beans and Legumes, Seeds and Nightshades. Most people don’t want to remove this many foods from their diet, so they choose food testing. With the Autoimmune Protocol, you have to remove 8 whole groups of food, whereas food testing may show you only have to remove 2 or 3 groups. The choice is ultimately up to the patient as to what they want to do. • How does stress affect Hashimoto’s? One-way stress affects Hashimoto’s or any condition for that matter, is usually when we are stressed, we tend to make unhealthy food choices. When this happens, it can lead to increased inflammation which leads to increased symptoms. • What supplements are best to help regulate stress and aid in weight management for people with Hashimoto’s? First and foremost, I don’t believe there are any “magic” supplements or combinations. I am a huge proponent of supplementation through. In my book, I discussed how the foods we eat today are not as nutritious as they were when our grandparents were growing up. For this reason, despite what a dietitian may tell you, you cannot get all of your nutrients you need from diet alone. The first step we want to do is to make sure you are eating a good diet and from there, we can supplement any deficiencies. As we’ve previously discussed, we want to address the inflammation in the body. The first thing I would add is an Omega-3 supplement. I have supplements that I recommend in my practice, because ONE of the biggest issues with supplements today is the lack of testing. In my book, I discuss several ways to know whether or not you are getting a quality product (if you still have questions, email me and I can share more information on this). I would also add in Vitamin D and Probiotics and from there, we can add other supplements if necessary. Those are my top 3 most recommended supplements. • Is it okay to fast when you have Hashimoto’s? Based on the research currently available, it is most likely safe to fast, though it’s still unclear how beneficial it may be and according to one article, it is unlikely to change thyroid hormone levels. • What supplements do you recommend for those eating keto with Hashimoto’s? Again, the top 3 supplements I recommend are Omega-3s, probiotics and vitamin D. I recommend other products based on the situation / goal of the each individual client. • Is it okay to eat dairy when you have Hashimoto’s? There can be a lot of issues with dairy. If you are following the Autoimmune protocol, the answer is no, it’s not ok. 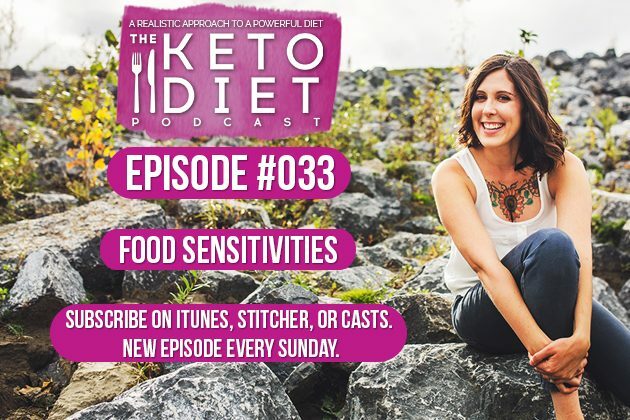 If you have the food sensitivity testing performed and you don’t have a sensitivity to it, then yes, it’s ok.
• Some of our listeners feel that they’re doing everything “right” when it comes to eating keto while having Hashimoto’s, but they’re still not losing weight… can you speak about why this may be? Yes. Many times, inflammation can lead to weight loss resistance. This means that it is possible to be “doing everything right”, but still not see the results you are looking for. If you are eating food or foods that continually triggers inflammation in the body, resulting in weight loss resistance. • Do you believe a person can help/lower Autism/SPD (sensory processing disorder) behaviors with foods? If so, what foods are recommended? Yes. In a 2012 case study, authors worked with a 2.5-year-old who had been diagnosied with regressive pervasive developmental disorder – not otherwise specified (PDDNOS) which falls on the autistic spectrum of disorders (ASD). Authors began with an initial assessment that consisted of food sensitivity testing, nutrient deficiency testing, GI testing etc. Once the results were back, the initial treatment plan consisted of dietary changes, GI treatment (including probiotics) and nutritional support. The dietary changes included avoiding all dairy and gluten as well as removing any food (s) that the patient had tested positive to on the IgG food sensitivity test for at least 3 months. At the two month follow up, the patient began speaking a limited vocabulary (almost immediately) and began interacting with people. After a new treatment plan, the patient returned two months later. At this four month follow up, the patient had “immediate improvement in bowel movements” and lab work showed improvement as well. After seven months, the patient was able to focus on tasks for 20 to 30 minutes at a time and at the ten month follow up, he was beginning “mainstream nursery school”. GI health is very important and research shows that our diet can play a role in disease. Identifying possible triggers that could increase overall inflammation is one of the first steps in treating many conditions. • Is it safe/recommended for school-aged children to do keto diet to improve ADD/ADHD and autism/Asperger’s, or do they need more carbs because they are still growing? Short answer is yes. Research supports dietary changes (whether it be keto or not) for conditions such as ADD/ADHD. As a parent, if you choose to go the ketogenic route, one of the biggest issues can be compliance. As a parent of a school-aged child, it can be difficult controlling what your child eats at school. Before choosing any particular diet plan, I would first suggest examining the daily diet. In addition to food sensitivity testing, one of the services I offer is a “Diet Reset Program”. What I do for this is have clients complete a 1-week food diary and then from there, I make recommendations. • Is there a link between gut inflammation and ADHD? Absolutely! “Everything” enters through the gut. When we eat foods that inflame the gut, it can lead to an increase in systemic inflammation. Gut dysbiosis (disruption in normal GI bacteria) has been linked to numerous conditions including ADHD, Alzheimer’s, Dementia, Diabetes and Obesity, just to name a few. Gut health and gut inflammation could be a whole podcast episode by itself. The implication of a healthy gut is tremendous. This is why everything we do is centered around the foods we put into our body. Food sensitivity testing is the foundation of our practice. From there, we may recommend a particular diet or supplementation in addition to recommending that the client avoid any food(s) they test sensitive to. • Are there proven links between diet and chronic pain issues e.g. chronic back pain and chronic migraines? If so, how long will it take for a new diet to reduce or alter the pain? Yes. In one study, 60 migraine patients completed an elimination diet. After doing this, researchers found that 85% of the patients became headache free. In this study, 78% of participants reacted to wheat, while 65% reacted to oranges. Other foods triggered migraines as well. I don’t want migraine sufferers to think that if they just eliminate wheat and oranges from their diet, they will be “migraine free”. The point is, any number of foods may be triggering your headaches (and sometimes it isn’t food at all). But because food is a common trigger, I would recommend starting with food sensitivity testing. Other studies show that “pro-inflammatory” foods increase chronic pain. As a result, that is why it is so important to decrease inflammation within the body. You can do this by adding foods and supplements to your body such as Omega-3 fatty acids for example. This is why the consumption of fish (salmon etc) is so important. This helps keeps the levels of Omega-6 : Omega-3 in check. Another thing you can do is to eliminate food(s) that trigger inflammation in the body (food sensitivity testing). • What test is recommended most for food sensitivities, and how long should possible trigger foods be taken out of the diet in order to see if they are causing an issue? The test we use in our office is Food Test 95. This test is a simple test that can be performed at home. The test looks at the IgG portion of the immune system. The reason I like this test compared to other tests on the market is it is more affordable and it looks at 95 of the most commonly eaten foods. Once I receive your lab results, I will make recommendations to eliminate the food (s) that a client reacts to for either 3 or 6 months depending on the severity of reaction. Generally, what I recommend to my clients is that they get retested every 6 months. Of course it is up to you whether or not you do this, but just know that food sensitivities tend to evolve and change as your body adapts to its environment. • How can a person know if they have low serotonin levels and how to fix them? To check one’s serotonin level requires a simple blood test that your doctor can order. Once your doctor confirms you have low serotonin levels, they will discuss possible treatment options. • Can keto help with Crohn’s? There is a case study from 2016 that does show Crohn’s disease was successfully managed with a “Paleolithic ketogenic diet”. In this particular study, the patient was able to discontinue medications within two weeks and, at the time of the study, had been on the diet for 15-months symptom free. Even though this particular study was just a case study, it shows that a ketogenic diet may be beneficial in treating Crohn’s disease. • Our listeners have all sorts of skin issues, such as psoriasis, rosacea and other various types of skin rashes… can you talk about what your skin is telling you about inflammation and sensitivities based on where you’re breaking out? The skin is the largest organ in the body and when there are food sensitivities present, they can manifest in a variety of ways. While not every case of psoriasis, rosacea or other skin rash is caused by food sensitivities, food sensitivity testing is a great place to start. As I’ve stated before, when the body is in a state of chronic inflammation, symptoms can manifest in numerous ways. Since everyone is different, we choose to make our recommendations based on your lab work and not based on someone else’s reaction. • Once you know you’re sensitive to a food – for example, dairy or eggs – does a person have to TOTALLY eliminate every source (even if it’s the last ingredient on the list) forever in order to avoid symptoms? It depends. Some people can get away with eating a little bit (even if it’s the last ingredient), but others may still have reactions. When I receive someone’s lab results, I recommend that the client remove trigger foods for either 3 or 6 months depending on how they react to a particular food. • How low is low enough for thyroid antibodies if you’re not having any symptoms? I would say it depends. Most lab values are simple ranges. It is possible to have symptoms even though one’s lab values are within normal ranges. Your doctor can help you determine whether or not your lab values are clinically significant. • Can a person support osteoarthritis through nutrition? Yes and no. OA can’t be reversed, but can be managed. For someone with OA, I would begin by food testing to determine what foods may be contributing to overall inflammation. Once the results come back and we’ve made dietary changes, I would recommend supplements such as a probiotic for gut health and omega-3s for added anti-inflammatory benefits. • How can you balance and detox excess estrogen from the body with food? Weight plays a huge role in excess estrogen. While there are several hormone therapies your medical doctor can offer you, I also recommend making dietary changes. If estrogen levels are high, I would want to begin by losing excess weight. In addition to this, I would begin to decrease overall inflammation in the body. To do this effectively, I would determine what food(s) my body was sensitive to, and I would eliminate those from my diet. • How does eating a keto diet affect your adrenals? • Can you speak about the efficacy of the autoimmune protocol? An autoimmune protocol can be very beneficial. This protocol requires individuals to eliminate foods such as beans, grains, nightshades, dairy, eggs and other inflammation causing foods from the diet. This is similar to an elimination diet. This diet is very restrictive, as is an elimination diet. This is why many people choose food sensitivity testing, Results are quicker and generally it isn’t as restrictive. • What if someone has a lot of food sensitivities, and as a result has cut them all out (eggs, nuts, dairy, etc.) but it hasn’t seemed to help and the symptoms are still there (ex. chronically enlarged tonsils). What suggestions do you have for them? Nearly 83% of all conditions that we treat in healthcare today, are linked to our diet and inflammation. If someone has cut out all of these foods and still isn’t seeing symptom relief, it is possible that there may be other issues going on. If that is the case, further testing can be performed to look for the root cause.